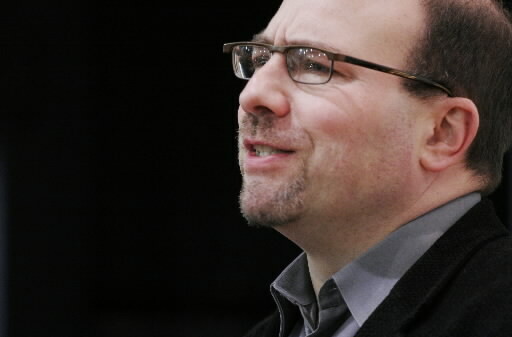 Craig Newmark, founder of the online classifieds Web site Craigslist, gives a talk a conference in New York. Jan. 12, 2007. Newmark recently gave a New York City journalism school $20 million. a gift big enough to prompt its rebranding. The man best known for founding the digital classified listing service Craigslist recently gave a New York City journalism school $20 million. His gift was big enough to prompt rebranding at what will now be called the Craig Newmark Graduate School of Journalism at the City University of New York. Newmark’s big gift made a big splash, but charitable gifts that support the media are pretty common. Some 6,568 foundations gave nonprofit media outlets a total of $1.8 billion distributed between 2010 and 2015, according to a recent study. Back when I founded the Center for Public Integrity, one of the country’s oldest and largest nonpartisan, nonprofit investigative news organizations, at my home in 1989, it was just the third of its kind in the whole country. Two decades later, when I co-founded what later morphed into the Institute for Nonprofit News, there were at least 27 of these operations. According to Sue Cross, the institute’s executive director and CEO, there are approximately 270 U.S. nonprofit news sites today, 165 of which are annual dues-paying members of her organization. Some are small with a handful of staffers. A few are much bigger. After the cable TV entrepreneur-turned-philanthropist H.F. “Gerry” Lenfest bought Philadelphia’s two largest newspapers — The Philadelphia Inquirer, the Philadelphia Daily News and their joint website, philly.com — in 2016, he donated them to the Philadelphia Foundation. The nonprofit Lenfest Institute for Journalism, to which he has donated $129.5 million, oversees the papers. I expect nonprofit daily news sites of that kind to become more common due to the collapse of commercial newspaper and television newsroom staff levels, which have weakened news coverage capacities. Public media operations like National Public Radio, Public Broadcasting Service and individual broadcast stations get nearly half of the media funding foundations parcel out: $800 million, or 44.3 percent of that $1.8 billion distributed between 2010 and 2015, according to a study from the Shorenstein Center on Media, Politics and Public Policy at the Harvard Kennedy School and Northeastern University’s School of Journalism. National nonprofit media organizations such as ProPublica and the Center for Investigative Reporting took in $220 million. Local nonprofit news outfits pulled in $80 million, and university-based journalism initiatives drew $36 million in grants over this same period. In general, national nonprofit media outlets attract more funding than local news operations. This lack of support for local news is coinciding with an increase in the number of “ news deserts,” regions without viable commercial or nonprofit news organizations. This serious problem isn’t a surprise, given the disparities in terms of everything from the quality of trained medical personnel and facilities, to online internet access and per capita income between America’s rural and urban communities. Why are foundations, individual philanthropists and now states pouring more money into the media? The answer is very simple. Without credible news and information, and thus a public that’s at least somewhat informed about the uses and abuses of power, a healthy democracy is not possible. Maybe because his website took a big bite out of newspapers’ classified advertising revenue by digitally connecting buyers and sellers, which makes him at least indirectly responsible for some of the media’s decline, Newmark is clearly worried about that problem. Cross, a former Associated Press executive, said donations to her organization’s member organizations began to surge at the end of 2016. Charles Lewis is a professor of communications and executive editor of the Investigative Reporting Workshop at the American University School of Communication. This piece was originally published on TheConversation.com.